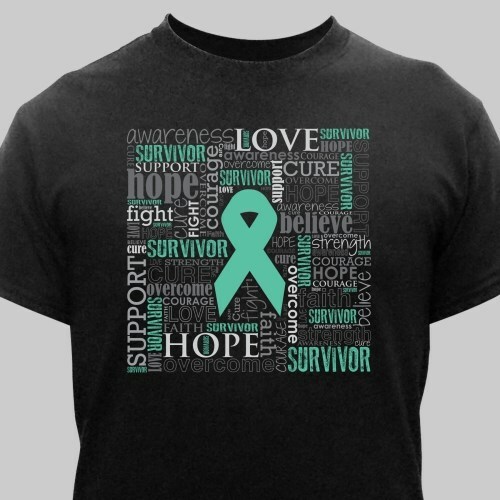 Proudly show that you were strong enough to beat cancer when you wear this inspirational t-shirt. This survivor ribbon design features words that help bring hope, strength and determination to those who need it. We will skillfully print this purple survivor design on our 100% cotton, machine washable t-shirts. Our shirts are available in adult sizes S-3XL. 4XL is available in our white t-shirt only. Awesome shirt. Will order more.